Abbeylawn supply the largest range of garden fencing made in Ireland. Garden fencing is the best way to bring value to you, house as it will instantly clean up your garden and give a proper boundary between you and your neighbours. 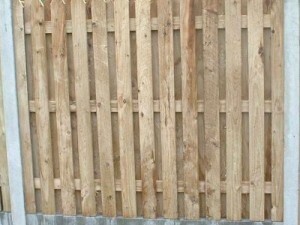 We have a wide range of heavy garden fencing panels to suit everybody’s taste. 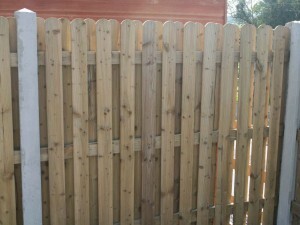 We have Timber fencing, concrete fencing and steel Fencing in a wide range of options. They also come in a wide range of sizes to suit all requirements. We can even take away the old fencing if required. There is a wide range of options on display in our show yard in Wicklow. 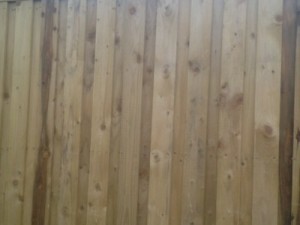 Even if you email us a photo of you garden and where the fencing is going, we can normally do a price over the phone. Most Garden Fencing can be delivered nationwide. 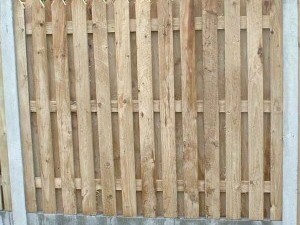 Abbeylawn also supplies and fits all the different types of fencing, covering the Leinster area. 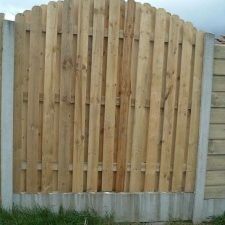 The timber used in our fencing is pressure treated with Tanalith E .The pressure treated timber will ensure a long lofe for you panels. We manufacturer all the panels in our yard near tinahely and we can even design panels and make to the size to suit your garden. If you can send us a picture of a panel that you have seen we can make it to match,Or call to our yard and see the options. 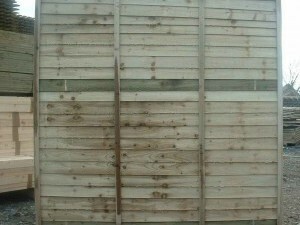 We have a manufacturer a wide range o heavy duty fencing panels with prices starting from €35.00 each for a 6×5 panel. This panel will replace your old Ship lap panels that blow out of the concrete posts. 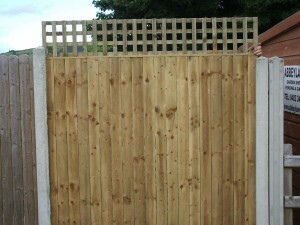 Our double picket panel and the new Yorkshire board fencing panel is becoming very popular. We also have other options like the weather board and the barrel board panels which are a step up in quality in that the timber is machine planed for a more smoother look. Double side rib picket in concrete posts.